Netflix on Crafting A High-Perf TV User Interface using React — Netflix switched to React for building their TV UI in 2015 and are now sharing some tactics they’ve used to keep performance high. redux-inputs: A Library for Taming Forms in React — Jake Pusateri of Zillow demonstrates how to use redux-input, a library that works with Redux to validate and store values from inputs and forms. React Native Moves to a New, Monthly Release Cadence — React Native has moved to a new monthly release cadence, as of December’s 0.40 release. 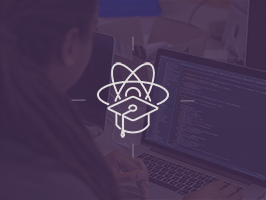 Learn to develop your next web or mobile application with ReactJS — Register for Rangle’s free React online course for developers on February 7! The first of a three-part series, this course is designed for developers interested in diving into the React library. From React to React Native, What Are The Main Differences? — What you need to know when starting your first native app using React Native with previous experience in regular React. How I Built a Fast Uber Clone for the Mobile Web — A developer shares performance tips picked up while building a mobile webapp with React. Kent C. Dodds's 5 Hour React Workshop Recording — It’s raw, but if you have the time, well worth pecking through for anything you can pick up.